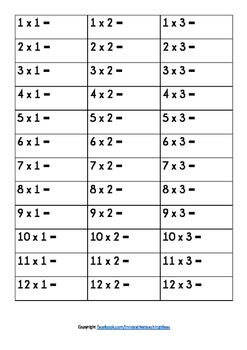 Whilst it may not be all that innovative this times tables assessment worksheet is a great tool to see where your kids are at with their multiplication. 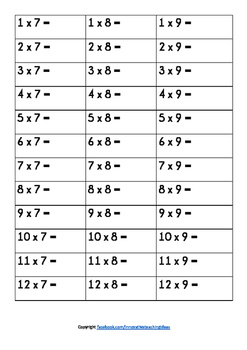 It contains all 144 spaces for your students to write out their times tables. 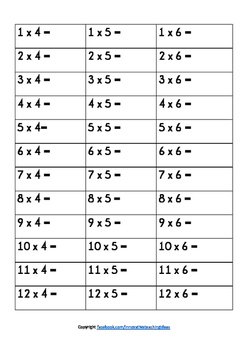 This is a great start of year assessment task to see who knows what when it comes to times tables and is even more effective when you place a time limit of your choice on it. 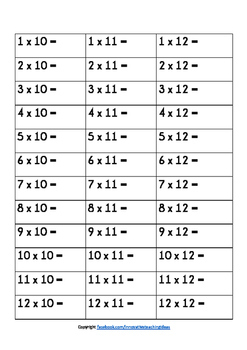 It also is a great option to laminate these sheets and re use frequently with a dry erase marker.